Free Fitness Series Hosted by Style Firm! 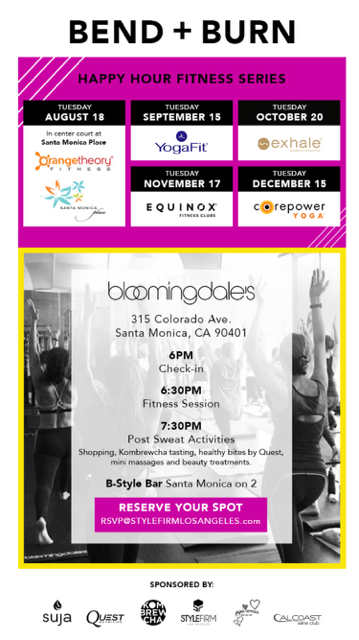 Style Firm is a LA-based activewear brand and they are hosting a couple of cool fitness events next week! First we have their Bend + Burn series with YogaFit next Tuesday, a studio I’ve been waiting to try. I attended their first Bend + Burn series with Orangetheory and had a blast! The class also ended with some awesome goodies, including treats from Quest Nutrition. 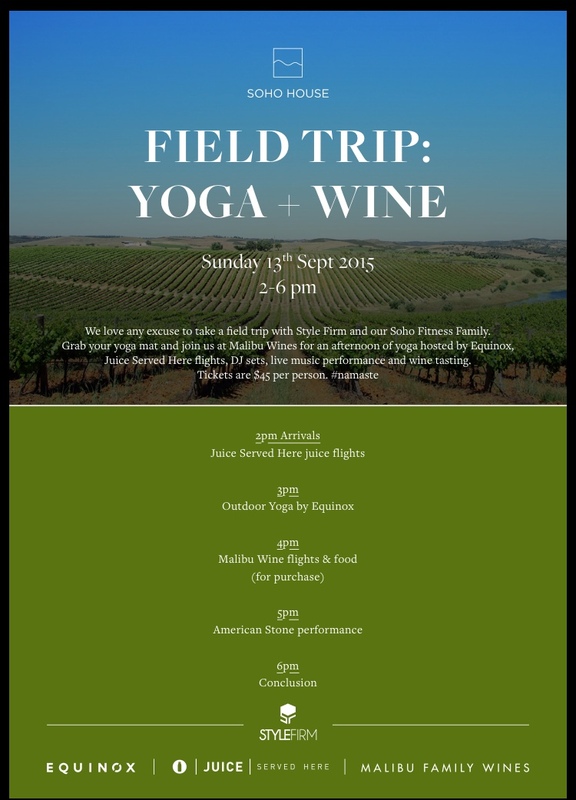 Next they have a yoga retreat coming up on Sunday at Malibu Wines co-hosted by Soho House, Equinox and Juice Served Here. Tickets are $45 each. RSVP for either or both events by e-mailing RSVP@StyleFirmLosAngeles.com.